Internships: Where you get all of the stress of working but with far fewer benefits. However, Japanese web developer Technomobile is taking a different, far more relaxing approach to interning. The Tokyo-based company is looking for what it calls “beer interns.” It’s not quite as awesome as it sounds, but the concept is still far cooler than any internship that requires you to grab the boss’s dry cleaning (which is to say, most internships). Sadly, as a “beer intern” you don’t get to swap out your desk for a kegerator, but you’re not stuck serving pints to demeaning full-time staffers either. Instead, the beer internship program is a two-day event where beer interns hang out at the Technomobile offices for the afternoon, drink a beer and tackle an assignment. The idea is that the opportunity gives prospective employees a chance to check out the atmosphere of the company and assess their potential compatibility with a bit of brew to help ease any tension. According to RocketNews24, if things go well, applicants may be offered a full-time gig working as a programmer, infrastructure engineer or system engineer. Interested parties must be of solid legal drinking age—at least 25 years old—but they also need knowledge about more than simply sipping Sapporos: a minimum of 1 year experience of open source development/web server construction is required. 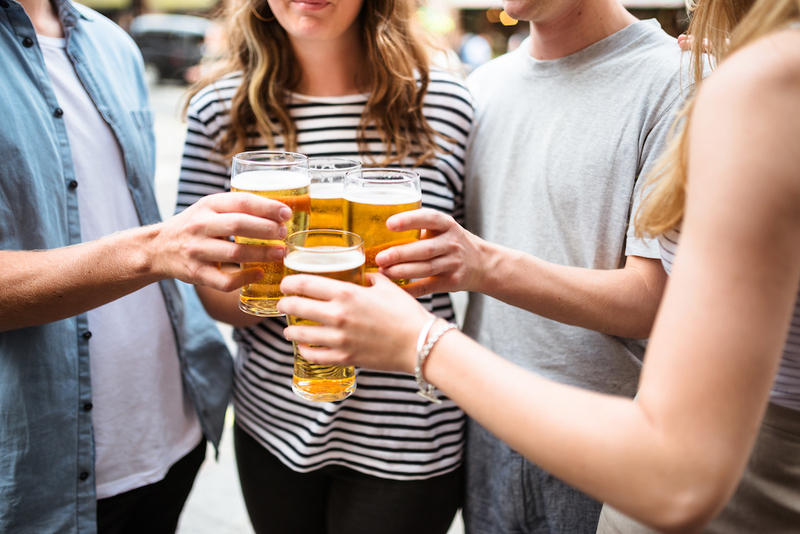 Granted, compared to the literal beer drinking internship World of Beer was offering this time last year—the bar brand was looking for people to get paid to travel around drinking beer and post about it on social media—Technomobile’s beer internship may sound like it’s a bit of a misnomer. Still, compared to working like a dog for a few months and not knowing whether the experience will land you a job in the future, a super quick “internship” with a free brew to break the ice sounds like a refreshing idea—kind of literally too.